As well as supplying the schools of England with hens we also have a compact onsite shop which is open on the days we hold our monthly Hens for Everyone Courses or by appointment. We also offer holiday hen boarding (please click the link below). We have a selection of hen care supplies, lotions and sprays along with wormers and supplements to keep your hens in tip top condition. 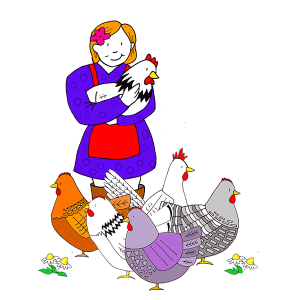 We have feed and bedding for your hens, all of which can be purchased when attending one of our courses. 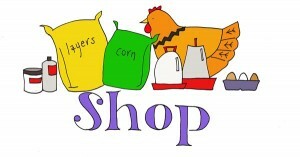 Its not just supermarkets that do online shopping, so do we!. You can purchase our Hen House Herbs, EGGventure Hen Packs (great additions to the classroom or perfect presents for your Hen Mad Friend). 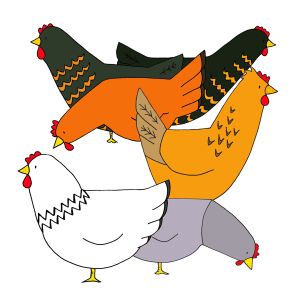 Coming soon, Hens for Hire Colouring Book & Activity Book. You can also book onto our courses.